Hey guys, did you know horses can die? Aggro, Shadow of the colossus reference? I never took the chance and always got off my horses before getting close to a fight. @JinxazuMarai: Yeap. I've always named my horse Aggro in any game that let me name them. My Chocobo in FF14 was Aggro too. @Daz Keaty: An aggro'd giant chicken.. Hope to never meet one in my lifetime. 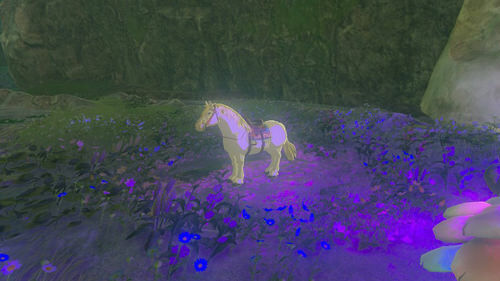 @ninjaxxxrecon: You can get Epona without using an Amiibo, She's just really hard to find apparently.